If you wish to delegate the organisation of every aspect of your study day, seminar or convention, Team Nature will offer you advice, seek out your accommodation free of charge, and put forward several solutions that correspond to your specifications. You can count on our team's experience and expertise. The hotel nestles in a forest in the hinterland and offers rooms with private pools. The focus for the activities we organised was nature: an exclusive tree-top assault course combined with treatments at the hotel's spa. 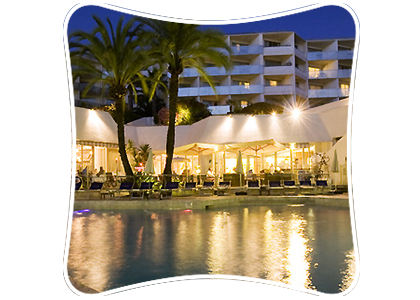 This 4-star establishment in Cannes boasts excellent value in terms of quality of service and pricing. 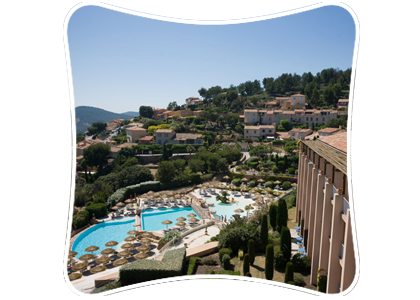 It was thus able to accommodate a group of 85 people who had initially been looking for a 3-star hotel on the French Riviera. 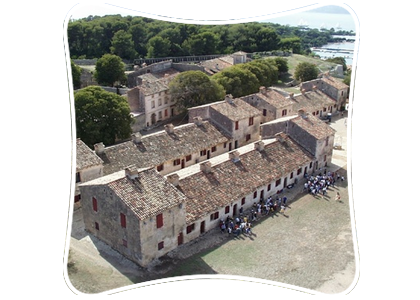 The programme included team building activities on Sainte-Marguerite Island, less than 30 minutes from the hotel, on the theme "The Man in the Iron Mask". 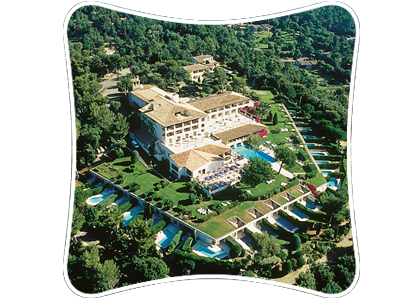 Located next to the charming village of Mougins, this hotel is a mix of refinement and elegance, settled in the heart of a beautiful park. 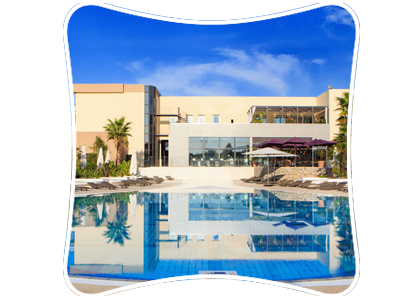 Located 20 minutes from Nice Côte d’Azur Airport, this hotel has many assets to offer (a luxuriant environment, plenty of sports facilities including a golf course). We used them to their best advantage for this group of 150 people, making some short films and enjoying different sporting activities (mountain biking, archery, Tyrolean traverse, etc). This memorable occasion continued into the evening, with screenings of the works of art that had been filmed! Standing on the edge of a golf course and a winegrowing estate and facing the Mediterranean Sea, this was the perfect place to host a group of 120 people in November. A protected creek a few kilometres away offered the ideal setting for a multi-activity, ecologically responsible challenge. 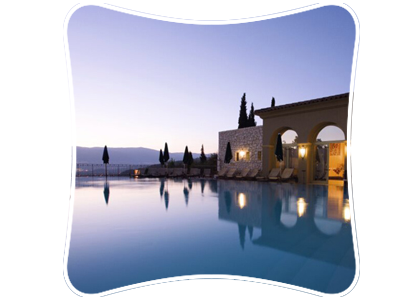 For days with your staff, company anniversaries, etc, we can recommend unusual venues such as guest houses, nature reserves, medieval fortresses, wine-growing estates, etc, to guarantee that your event will be a memorable occasion.